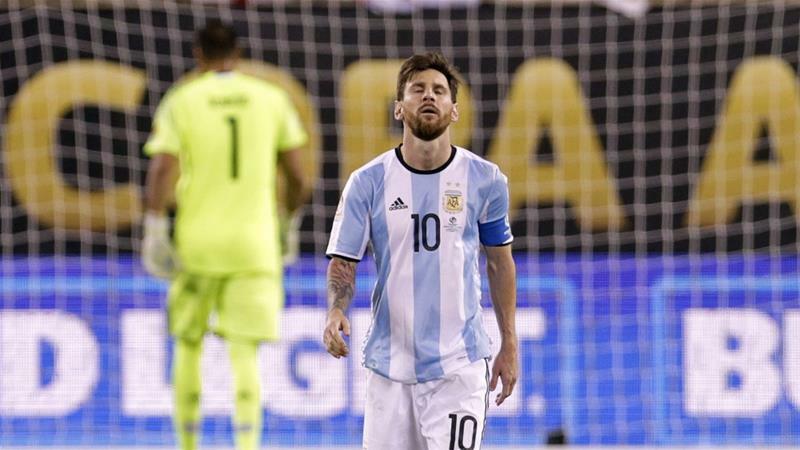 'I've done all I can, it hurts not to be a champion,' says Argentina superstar after Copa America final loss to Chile. Lionel Messi, the five-time FIFA World Player of the Year, has announced his retirement from international football after Argentina lost the second Copa America title to Chile in two years. "For me the national team is over. I've done all I can. It hurts not to be a champion," the 29-year-old Barcelona superstar told reporters on Sunday after his fourth defeat in a major final with Argentina. Chile beat Argentina in the final for the second straight year, 4-2 in the penalty shootout following a 0-0 tie that ended an expanded 16-nation edition in the US to mark the championship's 100th anniversary.